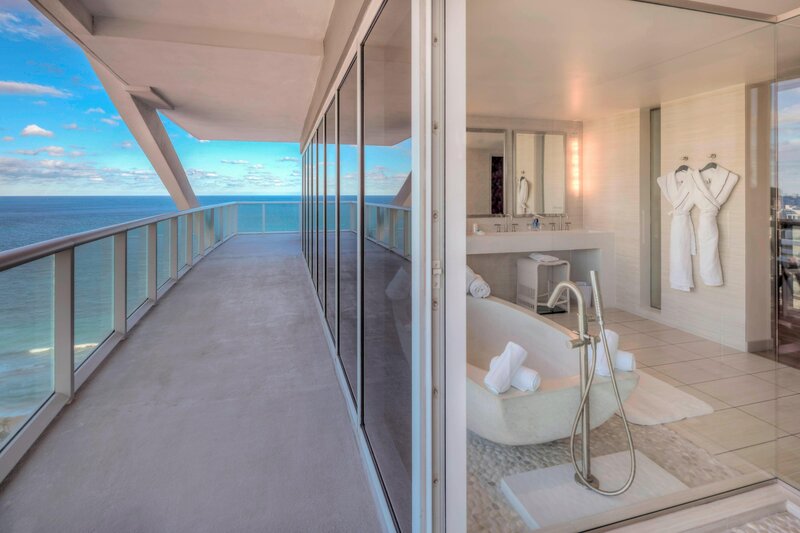 Escape the current and get swept away by W Fort Lauderdale&apos;s 55 million dollar renovation. Our beachfront hotel sits at the epicenter of all that&apos;s vibrant in the Venice of America, with world-class shopping, award-winning dining and buzzworthy attractions just steps away. Take in the sights from your stylish, pet-friendly hotel room or suite, which offers unparalleled Atlantic Ocean views and amenities like a NudeAudio Bluetooth speaker, Homtime Bluetooth charging alarm clock and spa products. 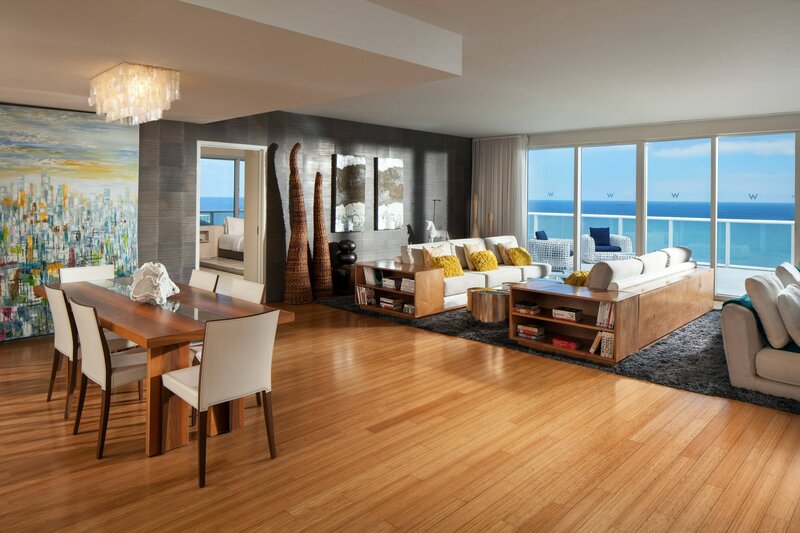 Soak up the sun at the oceanfront WET East pool, dine beachside at James Beard award-winning restaurateur Stephen Starr’s Steak 954 and El Vez and live it up with nightly programming in our Living Room. Break a sweat at FIT, our 24-hour gym, or on the beach at sunrise yoga and beach boot camp. Detox, retox and repeat at the new AWAY Spa. Host a business meeting or your dream wedding in our oceanfront venues. Explore everything Fort Lauderdale has to offer just moments away from our beachfront resort. Anchored at the epicenter of all that&apos;s vibrant on Fort Lauderdale Beach, W Fort Lauderdale offers the ultimate luxury escapade. This hotel features a variety of unique suites that cannot be found at other W hotels, including residential and Extreme Wow Suites. Indulge in five unique dining outlets with culinary by James Beard Award winning Restaurateur Stephen Starr. James Beard Award Winner Stephen Starr offers a unique interpretation of a classic steakhouse at beach side Steak 954, serving dry-aged meats, delectable sides and an innovative cocktail menu. Snap a photo of the glowing 15-foot jellyfish aquarium. 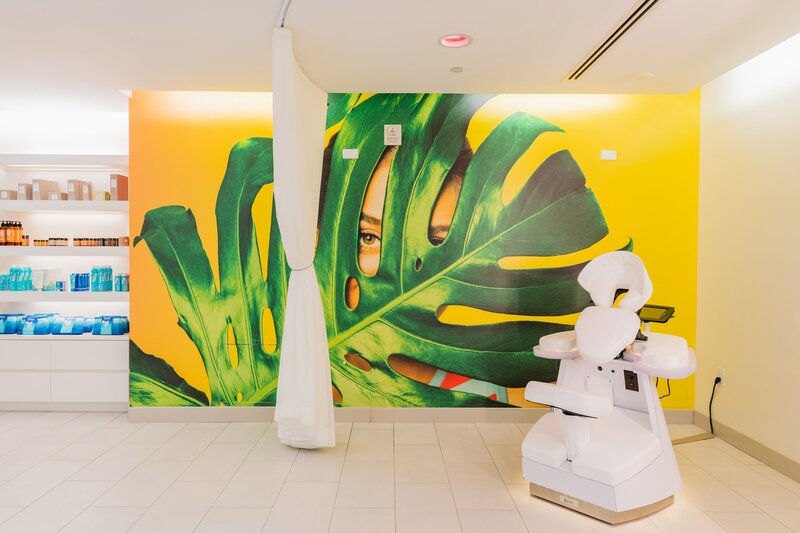 A new bold and vibrant spa experience. Fuel up with a Bright Detox Elixir shot, then get Glam at the Beauty Bar or unwind with a Quick Fix Massage between meetings. Work out the kinks or revitalize your glow with a recovery massage or mask.